Quite how Apple have managed to command such a position that the world is hanging on their every handset is not known, but suffice to say the iPhone XS Max is an instant hit. 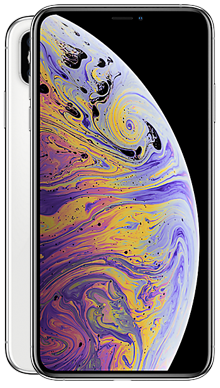 Select your desired options to find the best Apple iPhone Xs Max deals for you. Quite how Apple have managed to command such a position that the world is hanging on their every handset is not known, but suffice to say the iPhone XS Max is an instant hit. A year ago when they released the iPhone X, they broke from their own tradition by not offering a larger version, and clearly, their audience missed it as it has returned to a rip-roaring welcome. Generally, we consider the iPhone XS to be the new flagship, but it kind of shares the spotlight with its big brother as both are featured packed and bring the best of Apple to the table. Apple are not pushing the ‘plus’ moniker this year choosing to refer to both as iPhone XS and allowing the apparent size difference to speak for itself but it is fair to say that most retailers like us here at Fonehouse will be sticking with the more easy differentiation so for our sanity and yours, we will refer to it as the Plus whenever we talk about it. Basically, we are looking at a larger version of the iPhone XS, which in itself resembled the iPhone X. 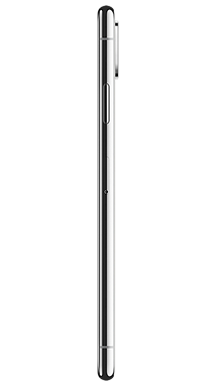 Once more we see the now standard design of an infinity edge to edge screen, free from the bezel and home button, with only the front-facing camera notch cutting into the glass. This is another OLED screen and is apparently going to be the standard for their high-end phones until something better comes along. On the iPhone XS Max, we see a size increase from 5.8inch up to a 6.5inch display. It follows the same styling with no fingerprint scanner and total removal of this option. Face ID has replaced it and utilises the TrueDepth front facing camera. With even more, Gorilla Glass 6 involved the potential for cracking your stunning handset has increased so we cannot recommend highly enough looking at a case and insurance, as this is one piece of technology you will be gutted to break. 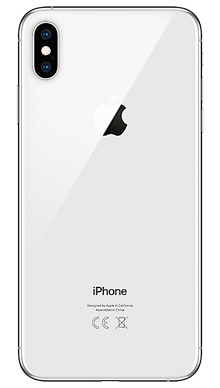 Considered part of the top end phone range the iPhone XS Max only comes in the now tradition silver and space grey options with just one new colour, gold, being introduced. As you might expect the iPhone XS Max audio quality is on point. It copycats the technology used in the iPhone X which was already quite impressive. Apple is gently pushing their customers to wireless audio by removing the jack converter from the box, which is a move we can understand especially with the W1 wireless technology ensuring a more stable connection than Bluetooth. There is indeed nothing to worry about here, on the back you will find two 12MP cameras that were first used on the iPhone 8 Plus and work just as well with the iPhone XS Max. On the front, you have the TrueDepth front facing camera so are assured quality images whether you are shooting friends or taking selfies. 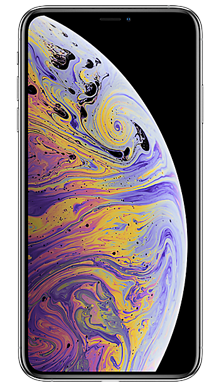 Like most handsets, the iPhone XS Max is available in a couple of storage size options with the introduction of the 516GB version which still falls short of the Galaxy Note 9’s impressive 1TB option, but to be fair, they have the MicroSD card which Apple has never been a fan of including. Matching the iPhone XS the processor is the newer and improved A12 which comes with enhanced Intel LTE chips. This means that the charging speed on the cable will now be faster and there is an improvement to the wireless charging coil making this even more responsive. On this larger handset, the screen resolution is 2688x1242 which to be fair is the best, meaning video playback and images viewing is a pleasure and something to be relished. With the iPhone XS Max, you have the option to use the screen in landscape mode in a nod to the bigger iPad’s offered by Apple. This is going to make working on the go significantly easier and when combined with the introduction of Apple Pencil support you are looking at a mobile office solution to rival the Galaxy Note 9. When it comes the iPhone XS Max the question one really has to ask is what is not to like. It really is a feature packed phone so unless you are not an iOS fan you are likely to love it. The off-putting element is going to be the price tag as Apple has set the prices at the same level as the iPhone X when it was released as the most expensive mobile ever seen. The iPhone XS series now take that title and run with it. However, we have done our best to bring you affordable pay monthly deal so do not fret. With the inevitable popularity of the iPhone XS Max before it even hit the shelves we knew we would have to work hard to get the best deals for our lovely customers. So we tasked our best deal finders and they came back with a huge range of awesome options. At Fonehouse we work with EE and Vodafone because it is important to us that our customers have the best network service and connection wherever they are. If you are looking for extras like BT Sport or Apple Music from EE, or Sky Sports and Spotify or even Now TV and Prime Video via Vodafone, then our deals have something for everyone thanks to the excellent packages on offer. If you would like to find out more about the iPhone XS Max or if you have questions about any one of the specific deals with Fonehouse, then why not call one of our excellent customer service team members today, on 0333 900 1133.